One of the best reasons to visit Beijing is the food culture. 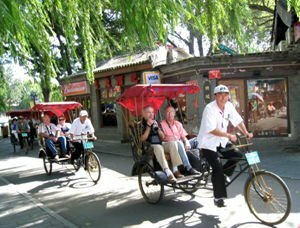 China has an incredible wealth of culinary traditions and you should be able to sample each of the 8 main schools of cookery in the capital; as well as a host of sub-schools and localized variations of dishes. Until recently there was little choice available to Chinese consumers regarding the product used in food preparation. Today as the Chinese middle-class becomes increasingly sophisticated there is a rising demand for organic foodstuffs. Organic fruit and vegetables uses no pesticides or herbicides during the growing phase or after it is been harvested. Organic meat, eggs and dairy is free of additives of any description and animals are raised naturally. The Beijing Organic Farmer’s Market sprang into life in 2010. At first the market only attracted a few stallholders but it has grown exponentially. If you want to visit the market it’s held 7 times a month at various locations across the city. The organizers have been trying to arrange a permanent venue but at the moment they’re still negotiating for a lease. 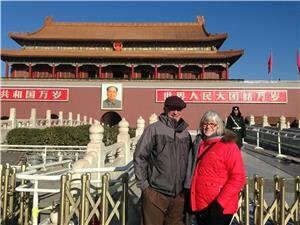 You can find the location of the market during your visit to Beijing by checking out their Facebook page; though you may want to do this before you travel as Facebook is difficult to access in Mainland China. There are food stalls around the market where you can sample some of Beijing’s best dishes. If you’re looking to take something home with you then there are local fruits, vegetables, eggs and meat galore; it’s worth noting that you probably won’t be allowed to export these products to the US so please consume them before you fly. There are some snacks that you can take back to the US and the homemade honey and wild rose jams make perfect gifts. There’s also an artisan cheese maker at the market and their French-style cheeses are very good indeed. 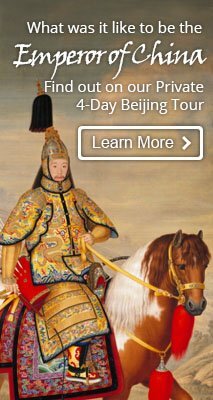 If the market’s not being held during your trip to Beijing then you may want the convenience of organic products delivered to your door. OABC has built an English language website where you can order products online easily. The company also offers farm visits, which include local tasting sessions and a range of English language talks about the organic produce. You will need to book two weeks in advance to take advantage of this. 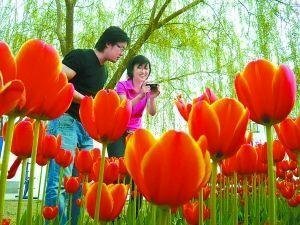 The farm is around 70 kms from central Beijing, so you’ll also need a taxi. If you prefer to shop in a location which doesn’t change then you can check out Lohao City Organic Food store in Baiziwan. There is a website but unfortunately there’s no English language version. Address: 10A, Floor 1, Building 5, 76 Baiziwan South Second Road, Chaoyang District (朝阳区百子湾南二路76号院五号楼一层10A). If you’d rather consume the final product then the Crab Island resort in the Chaoyang District of the city has a number of organic restaurants. The Mongolian food is very good at Crab Island, though it’s not the prettiest of restaurants. There’s a Chinese-style amusement park there too. The rollercoaster is pretty good and it’s one of the best value entertainment options in the city. Location: Airport Expressway, Dongwei Road (Weigou) Exit, right at the traffic lights, and left after 300 meters (机场高速，从东苇路（苇沟）出口处红绿灯右转前行三百米左转即进入蟹岛). Mrs. Shanen’s is in Shunyi in Beijing and it’s one of the nicest organic restaurants in the country. Not only is all the food prepared by Mrs. Shanen herself but she also owns “Green Cow” farm down the road where most of the vegetables, fruit, dairy and meat products are lovingly raised. What Mrs. Shanen can’t grow herself is sourced from other organic farms throughout China. The farm is not just organic but it’s also highly eco-friendly and Mrs. Shanen’s is worth a visit and as a vision of what China’s future might look like. The organic peanut butter from the farm shop is excellent and unlike some commercial brands in China; the peanut butter is made solely from peanuts with no other products added to “bulk up” the mix. If you’re in the mood for a good hamburger they don’t get much better than the organic burgers at Mrs. Shanen’s. Chinese food culture offers an incredible variety of choice for adventurous eaters. Organic ingredients can only enhance the taste and flavor of dishes. The organic movement is only just getting started in China and the best place to take advantage of it is in Beijing. 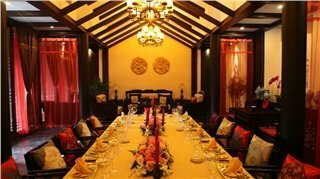 You should be able to squeeze in a date with the most delicious dishes in China on any of our Top 5 Beijing Tours. We can arrange for you to eat at an organic restaurant, shop for organic produce, and even visit an organic farm with your own private transport and guide.